Vail Jazz Goes to School, the Vail Jazz education program for fourth- and fifth-graders, returns to schools in Eagle County starting Monday. A staff of professional musicians and educators join local jazz musician and Tony Gulizia, the program director, to bring this innovative educational program to 16 local schools. They share their love and knowledge of jazz and American history to inspire young people to embrace jazz, America’s own art form. The first of four sessions, titled What Is This Thing Called Jazz?, explore the evolution of the music from its origins in Africa and the American south through to present day. Students will examine the customs and musical traditions that African slaves brought to America, how the migration of the black population brought blues to New Orleans and the history and evolution of many musical instruments. Throughout the session, students are encouraged to try their hand at playing special handmade percussion instruments from West Africa and learn the African rhythms that found their way to New Orleans. Now in its 18th year, Vail Jazz Goes to School supports and promotes the jazz art form with a focus on educating young musicians and young audiences — fulfilling the mission of Vail Jazz. For this first session, Gulizia is joined by his brother Joey on drums, also a professional jazz musician and educator, and Michael Pujado on percussion. 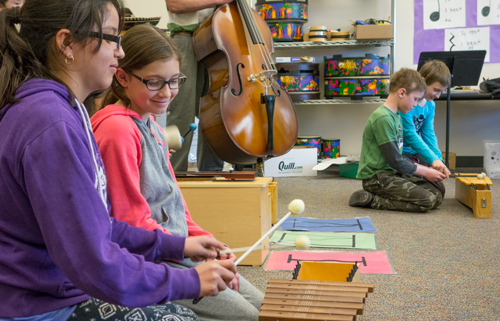 Vail Jazz Goes to School is presented at all Eagle County public schools, plus the Eagle County Charter Academy, Vail Mountain School, Vail Christian Academy, Stone Creek Charter School and St. Clare of Assisi Catholic School. Vail Jazz Goes to School reaches more than 1,200 students each year and has exposed more than 16,000 students to the course about this uniquely American art form. Since 1995, Vail Jazz has brought attention to jazz music through live performances, which showcase the talent of great jazz musicians, and through jazz education, with a focus on young musicians and young audiences. 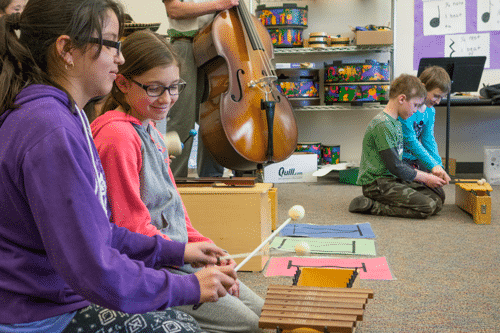 Vail Jazz Goes to School is presented through grants from Vail Resorts Epic Promise, Alpine Bank, United Way Eagle River Valley and Colorado Mountain Express, along with donations from individuals who support sharing jazz with younger generations.